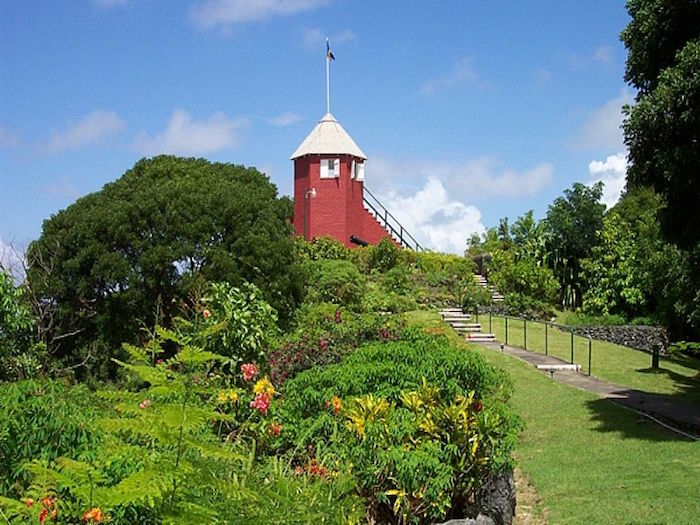 The Gun Hill Signal Station, located in the parish of St George, provides a magnificent and captivating view of the entire island. It is the finest of a series of signal stations built in 1818. These stations sighted ships approaching Barbados and signaled to each other in warning of the approaching vessel. They were also used to warn of slave rebellions on the island. Another signal station can be found at Grenade Hall towards the East Coast of the island. The signal station was recently restored and landscaped by the Barbados National Trust and now houses a collection of military memorabilia. On the hillside below is a well-known sculpture of a lion, carved out of a single piece of rock in 1868 by an officer at the signal station. During your isand tour, stop by the signal station and walk around – the views are beautiful as well.